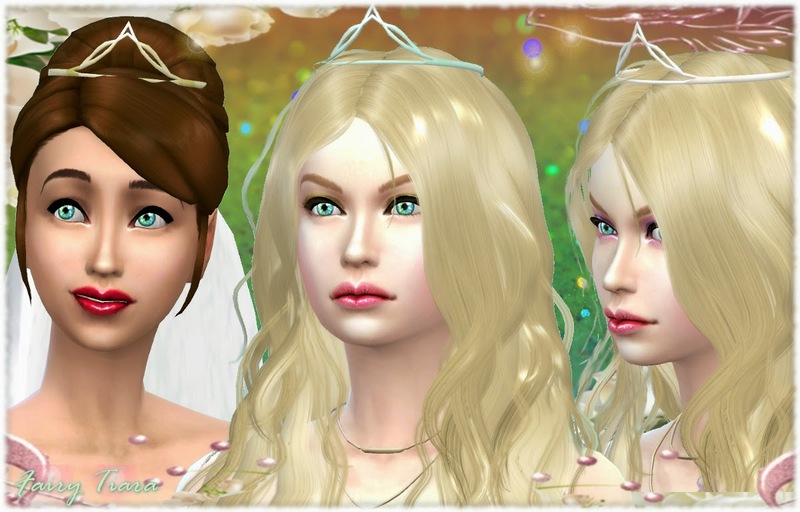 This is the first part of a set of delicate intricate gold, silver and other colored metallic colors tiaras for your sims, is a new mesh. It is found in Rings and it has its own thumbnail to identify easier. Hahahaha, I was thinking about it, the detail you can put in tiara as earrings is smaller, but I can do that too. I was wondering if people wear more earrings or were more worried about rings. I prefer using earrings as I don't care about some of the rings, and the tiara can still be used with some rings but not other ones. I might upload them as earrings option too then later and the new ones too. The glasses can be done but would clash with the fairy wings and veils that can be worn with the tiara for a wedding for example. I see what you mean though. :) Thanks for the support and feedback have a great week.